The NordicTrack Audiostrider 400 elliptical cross trainer not only looks smart but it has some smart features to get you into shape too. The 12kg (26.5lbs) flywheel and 40.6cm (16") stride length ensure smooth and comfortable motion and the 20 levels of digital resistance with Silent Magnetic Resistance work quietly and provide a great challenge. There are 20 built-in workout programmes that have been specifically designed to get you hitting your fitness goals and live feedback can be viewed on the 5" backlit display. To measure your heart rate there are hand pulse sensors and also a wireless receiver in the console for use with an optional Polar® T34 chest belt. 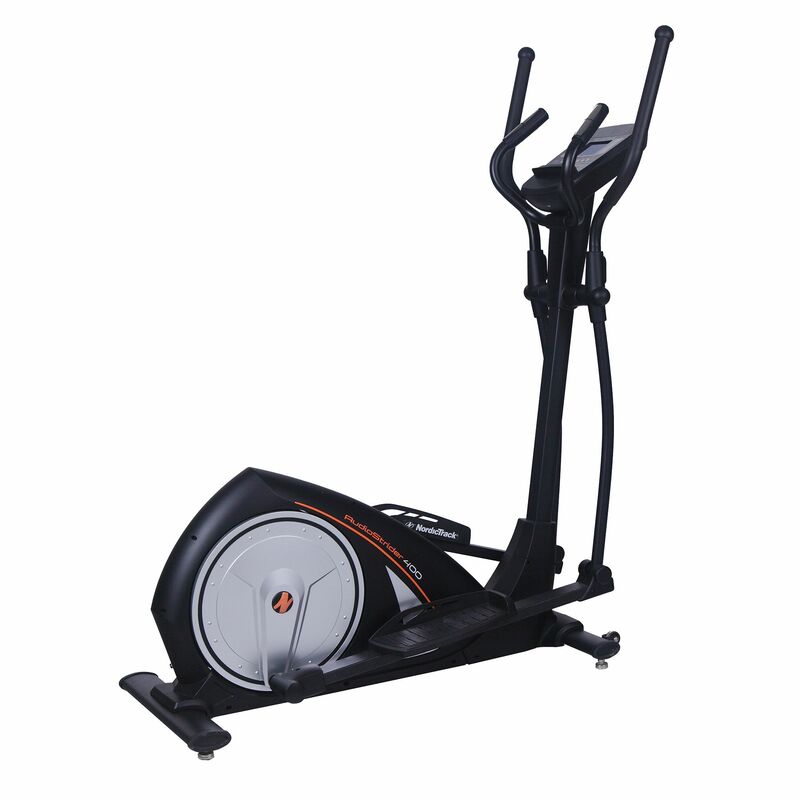 The machine is comfortable to work out on with its large pedals and soft hand grips, is iFit Live compatible and features a music port and speakers. 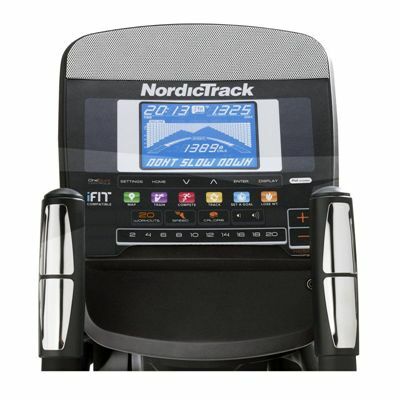 for submitting product review about NordicTrack Audiostrider 400 Elliptical Cross Trainer.